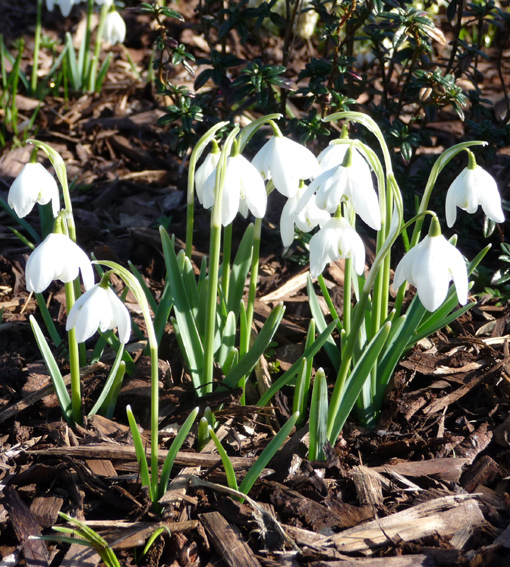 Lovely spring weather is here at last - but for how long? 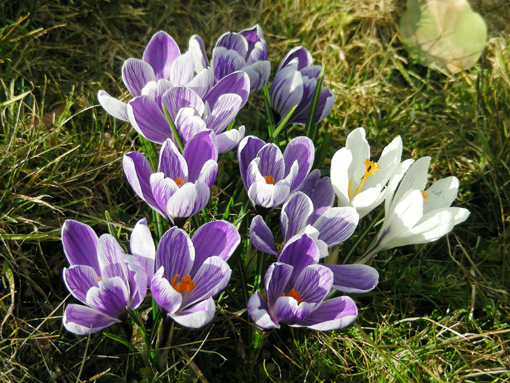 Crocuses and snowdrops are making us feel good! After a very harsh winter, the fine weather finally arrived last week. So it was a case of getting everyone into a tractor to harrow, roll and re-seed the sad-looking winter fields. All the machinery are out in force! 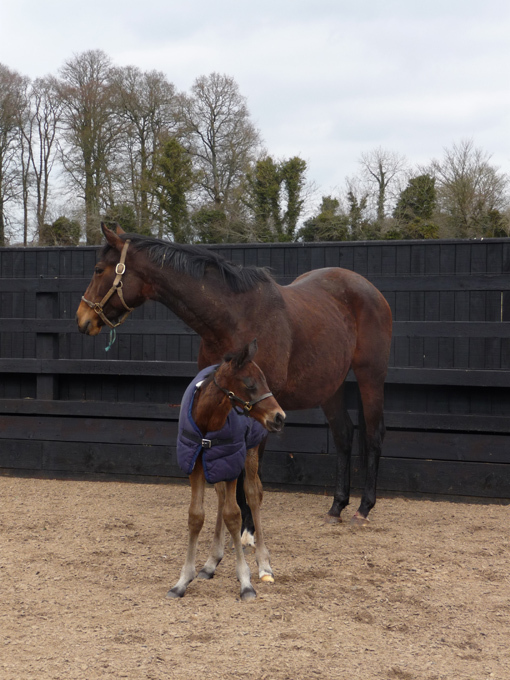 Two of the our visiting mares have been covered, both by Dalakhani. They have now fully adjusted to Swordlestown Little and appear to enjoy it here. It would be lovely to finally get some grass growth after this long cold winter. But let us not get too excited, we still have to get through April first! 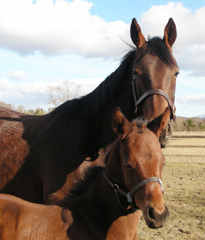 Meanwhile Sogno Verde, Miss Shaan and Romandie (pictured below) are well overdue and keeping us from getting a good night\'s sleep. 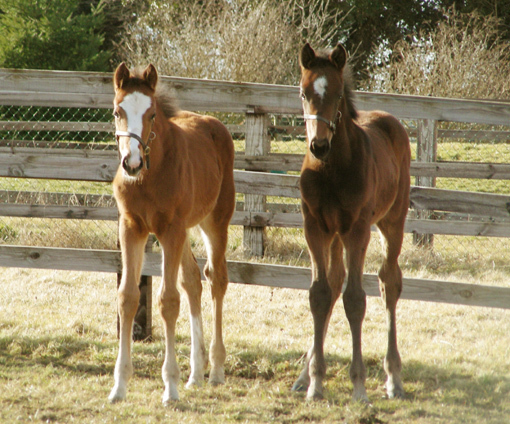 The Mount Nelson filly (left) and Galileo colt (right)are doing fine and growing well! 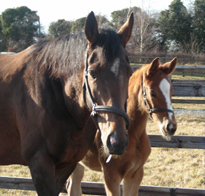 UPDATE: Sogno Verde foaled last night and is seen with her 10 h old colt foal by Dylan Thomas.